Cheap holidays in Mexico are ideal for anyone planning a honeymoon or romantic holiday with their one and only, according to the country’s tourism authority. The Mexico Tourism Board’s spokeswoman Carmen Laborin said that Mexico was “unparalleled in its versatility” when it came to honeymoon choices and the country itself was blessed with some of the world’s most romantic locations. Ms Laborin pointed out that some of the experiences that lovers can look forward to during their stay range from classic beach holidays at some of Mexico’s beautiful resorts such as Acapulco, Cancún and the Riviera Maya. There’s everything from eco-tourism and adventure holidays to cultural visits to the country’s cities and sites of archaeological and historical interest to woo the romantically attached. Mexican honeymoon resorts range from large luxury hotel complexes to beachside villas, with facilities including private swimming pools, real log fires and private dining terraces. December to February is the peak season for cheap holidays in Mexico, with the rainy season falling June-September, so some bargains can be found in the still warm months of April, May, October and November. Extra investment in the Mexican infrastructure, coupled with increased interest from holiday operators and a greater number of cheap flights to Mexico and cruises in the region have all combined to boost visitor numbers. The Mexico Tourism Board believes that this will only grow over the next few years. The World Travel Market this year also appeared to agree with this analysis. 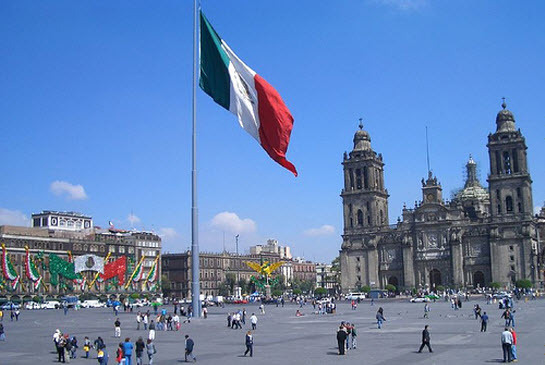 In a recent industry report, it said that Mexico was one of five key growth areas in the world along with Sri Lanka, Indonesia, Malaysia and Argentina.